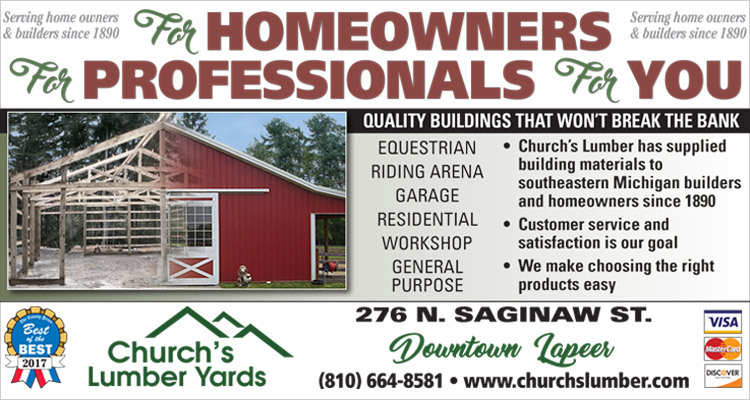 Come visit our newly renovated showroom at Church’s Lumber Yards Lapeer, Michigan. Browse our selection of the industry’s most recognized name brands and quality products for your next building project. We specialize in a range of products from pole barns, stables, and decks, to kitchen cabinets, windows, doors, and moulding. Our experienced customer service representatives will help guide to make your project complete!